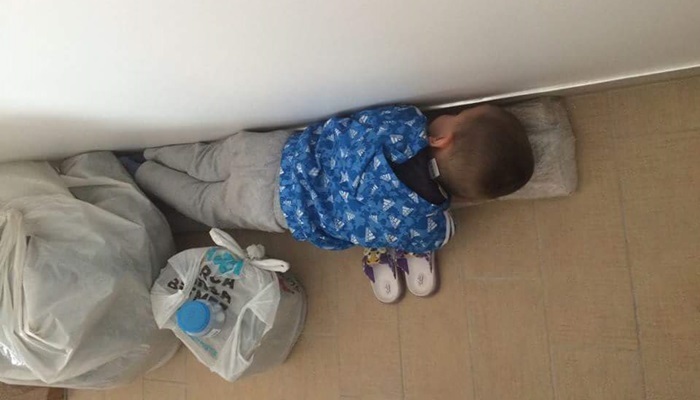 Taking a nap on a piece of worn-out construction plank, the 3.5-year-old-son of a Turkey’s one of the purge-hit schoolteachers has become a powerful symbol of the oppression that engulfed the country following the coup. The teacher known by the initials M.A. is among thousands of teachers who have been sacked from civil service over their alleged links to the Gülen movement, which the government accuses of masterminding the July 15 coup attempt. He posted a picture of his little child on social media that ultimately spurred huge reaction against the post-coup crackdown in the country. “My 3.5-year-old Bilal. While we are moving to our new home after we were evicted from [low-cost] public housing… He fell asleep on a piece of wood without telling anybody… The son of a terrorist father…,” father’s said in his accompanying comment implying that his son had already internalised the oppression spurred by the government. The government labels the sympathizers of the movement as terrorists without any tangible evidence implying terrorism activity.